There’s no better way to immerse yourself in the Kiwi culture, learn English, gain valuable work experience, and life experience than by doing a working holiday in New Zealand. The trip of a lifetime starts the all-important working holiday visa. If you are eligible to apply for a working holiday visa, then you can start planning your dream trip. We can help you make it a reality. Follow our step-by-step guide below to help you plan and prepare for a working holiday in New Zealand. Don’t forget to browse our website for lots of free information. First, you need to see if New Zealand is right for you. Do some research to answer the following questions. Are there visas available for your country? Free Visa Check here. Can you afford to live and travel in New Zealand? Can you get a job in New Zealand? 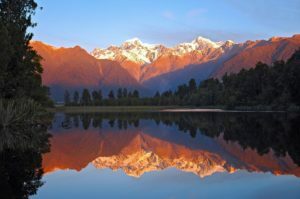 What would you love to see and do in New Zealand? Now, it is time to make this trip real! Apply for your working holiday visa. Use our free guide to help you apply. Once you have received your visa, book your flight. Compare and purchase your Arrival Pack, so you can get the best start in New Zealand. Are you excited yet? There are a few things to prepare before you jump on the plane. Pack your bags. Here is some advice on what to pack. Talk to us! By this point we will have talked via email and sorted out some paperwork together. We can organise a Skype meeting to go through what to expect when you arrive at Auckland or Queenstown Airport (the choice is yours) and you can ask us any questions you may have. Otherwise, you can always email us. We are happy to help. Your advisors can’t wait to meet you in Auckland or Queenstown, New Zealand. What to expect when you arrive in Auckland and Queenstown Airports. With your Arrival Pack, you will get: Airport transfer, 3 nights in our hostel, SIM card, Job workshop, Bank account, Access to Internet, IRD number, Luggage storage, New Zealand CV, Welcome pack, Introduction to NZ, Bar crawl voucher, Mailing address, Job vacancies board, and much more… Compare them now to pick the best one for you!